A rough time lies ahead of the 30 million or so Windows Live Spaces customer who operate their own web blog on the blogging service that is owned by Microsoft. Microsoft's Dharmesh Mehta revealed that Microsoft teamed up with Automattic, the parent company of the popular blogging platform WordPress, to migrate Live Spaces users to WordPress. 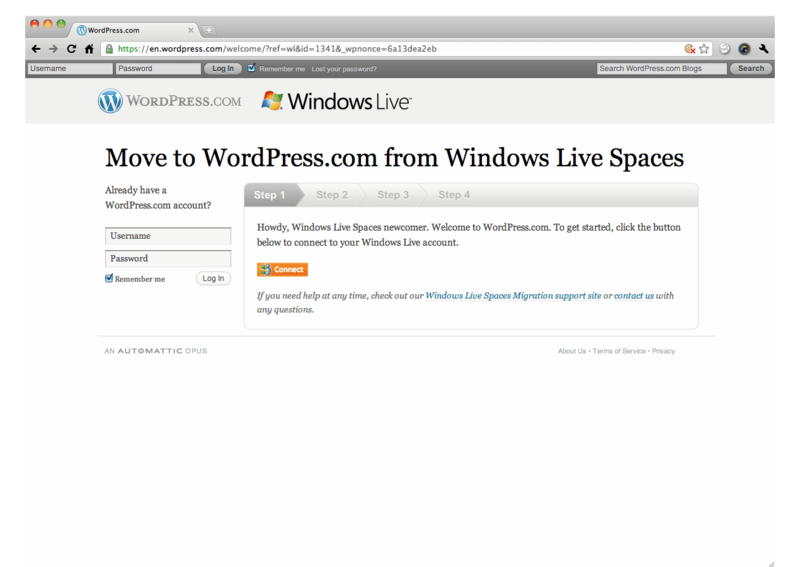 At the moment, notifications are shown to Live Spaces blog owners informing them about the migration option. Users have the option to upgrade right away, download the blog to the PC, delete their space or be redirected to their space if they do not want to make a decision at that moment. The blog post surprisingly does not mention a time frame for the migration. The notification after login however mentions that the clock is ticking which seems to suggest that Microsoft will eventually make the decision for the user. 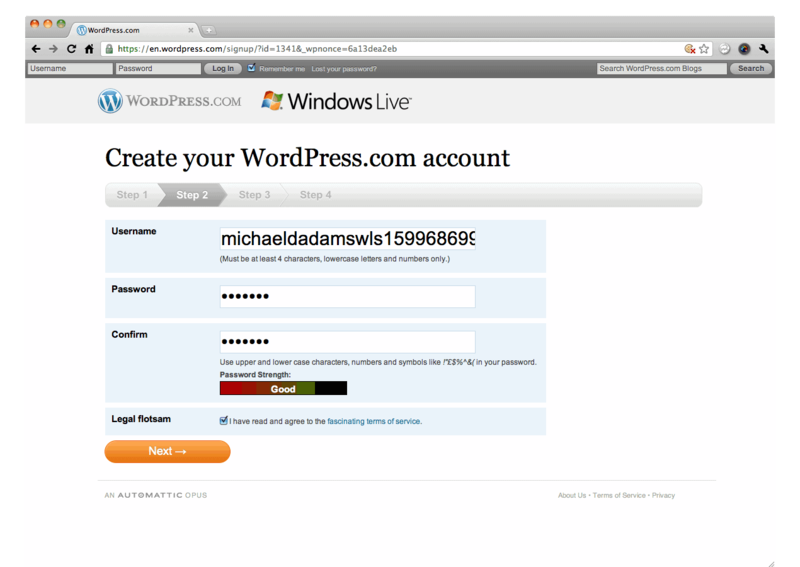 Step 2: Creating a WordPress account. In this step the user account gets setup if no previous WordPress.com user account exists. 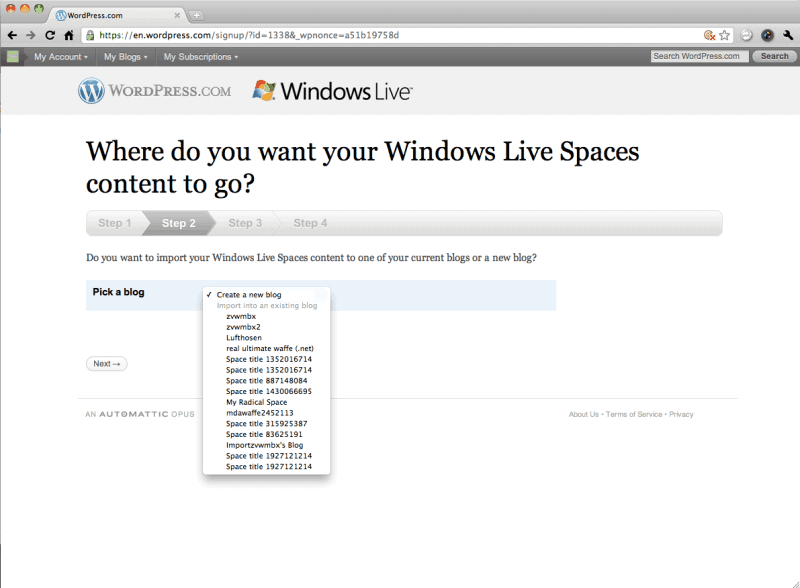 Here it is possible to select a destination for the Live Spaces blog. Options are to create a new blog, or to select an existing blog. The whole process is explained in detail at the WordPress site, and I suggest existing Live Spaces users visit that page prior to migrating their blog to WordPress. Microsoft is also offering support at the official Spaces Forum, which appears to be filled with migration related problems at the moment. Some users apparently are reporting missing contents after the migration, or problems during the migration. It probably may be a good idea to wait some additional time before starting the migration, considering that a large amount of users will migrate right away once their see the notification in Live Spaces. Is there a deadline for the migration. 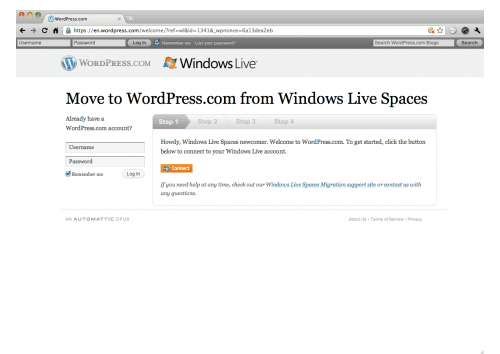 And if there is, what happens to Live Spaces blog that are not migrated by that time? Are the blog posts 301 redirected to the wordpress.com website? Are there backups in case the migration fails? Why is Microsoft shutting down the service? Windows Live customers who want to get started with their own blog, are from yesterday on redirected to WordPress.com as well to complete a similar series of steps to create a blog at the blogging provider. Windows Live Writer will also start using WordPress as the default blogging solution once the new version of Windows Live Essentials 2011 is released by Microsoft. 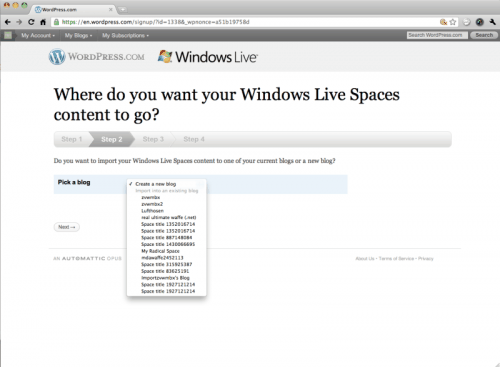 Are you a Windows Live Spaces user? What's your opinion on the move? MKR that seems to suggest 301s, but until I get verification I hold my breath..
No sign of any migration notification here in the UK as yet…..
After migrating my Live spaces to WordPress, now my Live Writer 2011 wont connect to it. When I publish is comes back with the 405 error.